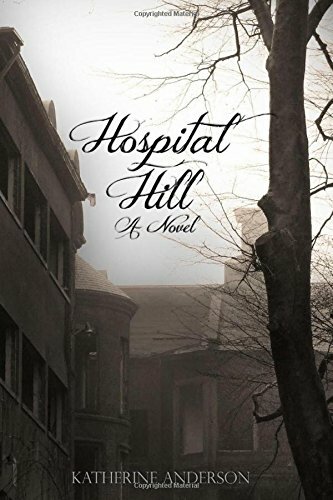 “Hospital Hill” by Katherine Anderson is an uncanny mystery/thriller that will keep readers guessing as dark secrets from an old insane asylum surface just before the hospital closes its doors forever. Weeks before her retirement, Valerie Martin is called back to the hospital where she began her career, Northampton Hospital, to complete a final task for the department: an assessment of the hospital records/data. It’s been years since the hospital has housed any patients, and the gloomy condition of the hospital is disheartening to Valerie. As she settles in with some old patient files, however, she begins to recollect and reminisce about former patients and co-workers. Valerie finds more than she bargains for when she stumbles upon some coincidences that reveal sinister and disturbing activities with several of the young female patients. She must dig deep to connect the dots that will shed light on tragic events from the past. There are other parties interested in what Valerie’s research will reveal and she must trudge carefully to expose the truth without being harmed, or worse, in the process. I thoroughly enjoyed the historical aspects of the story, and it was apparent much time and research went into telling the history of the hospital with precise detail. The eerie monochrome of the book cover stayed in the front of my mind as I read, clearly depicting exactly how I would imagine an old asylum to look. I found the characters to be genuine and consistent to their roles for the period of time covered in the story. It was a bit of an eye opener that Valerie’s supervisor actually scorned the fact that Valerie had a college degree, clearly of the mindset that women held a very specific place in society, college graduate or not. I also found it disheartening to read about the therapies patients received during the dawn of mental health treatment, treatments now considered inhumane at best. The story is full of unexpected twists and turns, and the plot line builds with steady intensity, setting readers up for an action-packed, dramatic climax. At just over 200 pages, “Hospital Hill” by Katherine Anderson is a short read, and I found myself wanting more! I highly recommend this story as an entertaining read, full of history, suspense, and intrigue.